EVLT and ERWC are 501(c)3 nonprofit organizations working right here in Eagle County protecting the natural resources that help attract 2.2 million visitors here every year. The Land Trust has a mission to preserve forever our scenic vistas, open spaces, historic lands, waterways and wildlife habitats that represent the uniqueness of Eagle County and the central Rocky Mountains for the enjoyment, education and beneﬁt of all people who live in and experience this special place. The Watershed Council has a mission to advocate for the health and conservation of the Upper Colorado and Eagle River basins through research, education and projects. The Watershed Council strives to protect and enhance the high‐quality natural, scenic and economic values that our rivers and tributaries provide to the citizens, visitors and wildlife of the Eagle River and Colorado River watersheds. It was only natural for the Eagle Valley Land Trust and the Eagle River Watershed Council to work together. Afterall, ERWC and EVLT protect the very things that make Eagle County unique and attractive to visitors and which keep residents fulfilled and content with their natural surroundings. 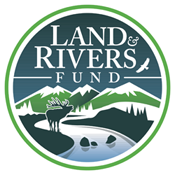 In teaming up for Land & Rivers Fund, our organizations aim to provide local business owners with the opportunity to show their support of land and water protection. The Land and Rivers Fund benefits the ongoing conservation efforts ofEagle River Watershed Council (ERWC) and Eagle Valley Land Trust (EVLT) through partnerships with local businesses. Participating businesses collect a 1% donation on qualifying purchases. The Funds are split between ERWC and EVLT to help them protect fish and wildlife habitat, scenic views, agricultural heritage, and recreational access of Eagle County. Once the program is generating $100,000 in annual revenue, a portion of the proceeds will be allocated through a grant application process to other organizations and entities working on land and water conservation projects. local output device or sent electronically. Eagle River Watershed Council advocates for the health and conservation of the Upper Colorado and Eagle River basins through research, education, and projects. ERWC restores an average of 10 acres of riparian and wetland habitat annually and coordinates over 1,250 volunteers to remove 26,000 pounds of trash from our highways and streams every year. The Eagle Valley Land Trust is dedicated to protecting the lands we love, to preserve our heritage, scenic beauty, recreational opportunities, and wildlife habitats, and to build a permanent legacy for future generations. EVLT permanently protects over 11,000 acres across 35 properties in Eagle County and aims to conserve an additional 2,000 acres per year.